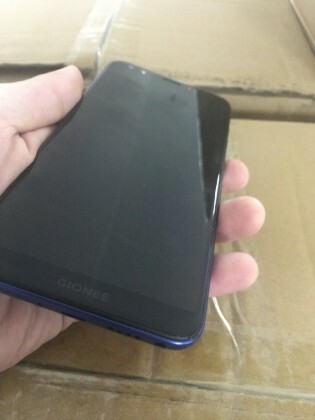 Back in September, a TENAA listing revealed that Gionee is preparing to launch the S11. GFXBench unveiled more specs of the phone, and now live images show the actual phone along with some color options. It has a FullView display with a 6” diagonal, two cameras on the back and two more on the front. It appears that the two main cameras will have different sensors. Previous leaks already suggested a combination of 16 MP + 8 MP modules. The back was pictured in three vivid colors - Blue, Gold, and Pink. 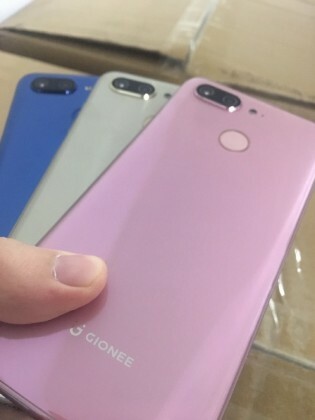 The front panel is mostly screen, with slight bezels on top for the cameras and the speaker and on the bottom for the Gionee logo. The pictures show minuscule bezels on the sides too. The Gionee S11 is expected to debut November 26 when the company will host an event.